Think about what you’ll be using your vacuum for. 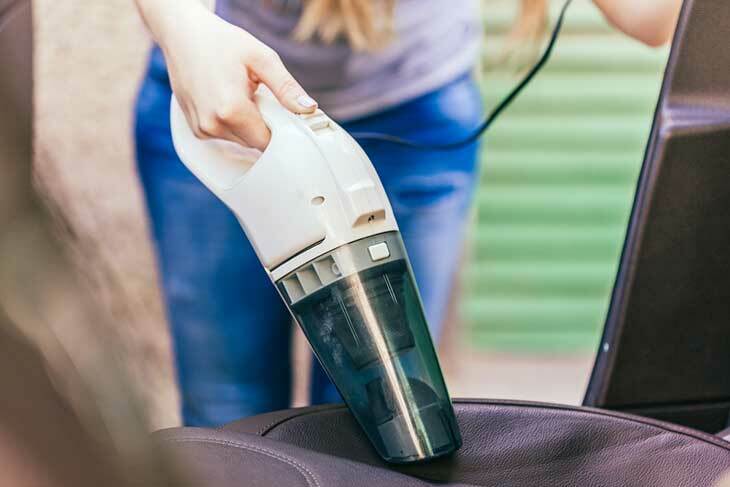 If you plan to travel with your vacuum, size might be your most important consideration. Weight is another important consideration. Some UV vacuums come with cords for efficient use at home, and all models vary in their exact features. Similarly, some models are primarily for use as hand-held models for bedding, rugs and blankets. Other models primarily clean and sanitize flooring using automatic sensors with no active participation from the user during cleaning. A few of the devices have separate brushes for mopping. Some models are wireless with automatic charging stations, while others have a cords for continuous power. It’s important to consider your primary use and choose the model that best facilitates your goals. This UV cleaner from Housmile has an internal tube that reaches up to 131 degrees. When used properly, it kills up to 99.7 percent of mites. This model is lightweight, and it weighs only 2.81 pounds. It has a 160 ml dust chamber which can hold a lot. Housmile has 2 patents on this model for its hot-air drying system and advanced carbon filtration. It utilizes HEPA filtration to capture small particles instead of releasing them into your home. It also uses high-frequency vibration to chase mites away from sheets and mattresses. If you’re looking for a vacuum that’s easy to move around the house, this model is lightweight and portable. Its heat system makes it a good choice for a person who wants to ensure a deep clean. In addition, if you’re the type that likes to make sure you can manipulate your vacuum personally to ensure that you reach every nook and cranny, this is a good choice. If you’re into robot vacuum cleaners, this is the UV dust mite vacuum for you. If you plan to use your device to clean hard surfaces or carpet, the robot vacuum does this for you with very little work on your part. You just program the vacuum to your preferred settings and go. You can program it to clean every day if you want to. It cleans for up to 90 minutes at a time and docks itself for automatic recharging when it’s low on power. It cleans in both dry and wet modes and uses HEPA filters for maximum efficiency. Robot vacuum lovers rejoice! This is a great model if you have floors to clean and you don’t want to clean them yourself. There are a few different modes, so it takes some time to set the Robins robot up to do what you want it to. Beyond that, components are high-quality, and if you’re in the market for a multi-purpose robot vacuum, this is an option you can have confidence in. 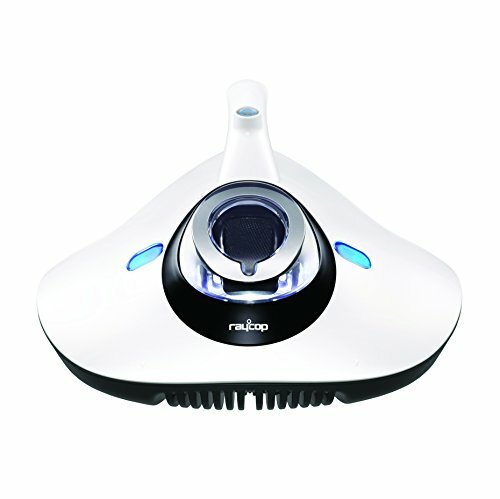 This model from Raycop has pulsating pads and a calibrated suction system to capture up to 99.9 percent of bacteria. Although it’s heavier than other hand held models, it operates with an electric cord. You can also purchase a storage stand in order to keep it in a convenient place. There are two dust box filters with the Raycop model. One is the dust box that you can clean and reuse. The other is the HEPA filter. This filter you should replace at least once a year. This is a good choice if you plan to use your model primarily at home. While it weighs a little bit more than the Housmile model, the electric cord and storage stand make it convenient for frequent home use. The components of this Raycop model are quality, which means that you can expect it to last through significant use. The long cord is also convenient for use on beds, curtains, blankets, rugs and other items. This model is probably your best choice if you’re looking for a heavy-duty model to work hard for you in your home. If your primary criteria is a vacuum that’s easier to move, choose the Housmile model. 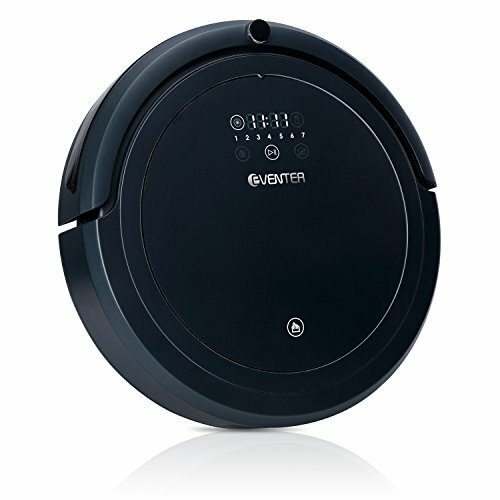 If you’re looking for one of the quietest robot vacuum cleaners with UV on the market, this is a viable option. 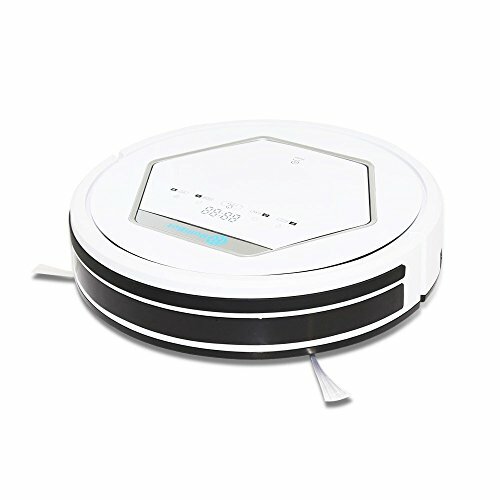 The Rollibot BL618 has functions for both sweeping and mopping. 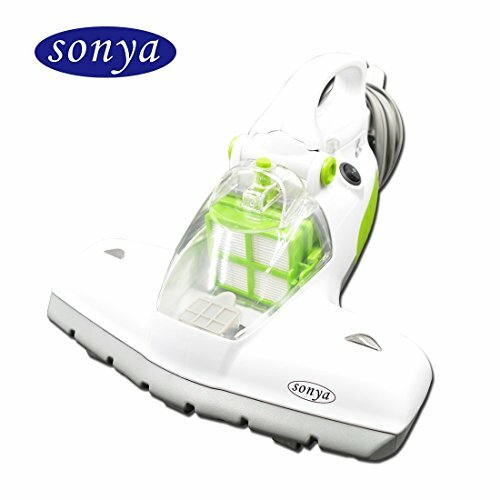 You can use it to clean up pet hair and other debris, you can use it to mop, and you can use it for UV sterilization. The model comes with 10 censors to help it avoid furniture and other objections. The Rollibot is good for users who want to take the time and effort to program their machine. There are many options for programming periodic cleanings using four different modes: auto-cleaning, spot cleaning for spills and dirt, edge cleaning for walls and obstacles and a zig zag pattern for mopping. Depending on the mode that you prefer, and depending on how often you want to change between modes, there are attachable parts that you need to change and replace. You also need to remove and clean both the brush and the dustbin. For your efforts, you get a high-quality robot vacuum that works quietly. Choose this model if you’re interested in multiple cleaning modes for multiple surfaces. The Rollibot is a good option if you’re eager to learn all of the bells and whistles that come with your vacuum. When you learn all of the features, this model can do a wide variety of things for you. If you want a model that’s more user friendly, choose the Robins. 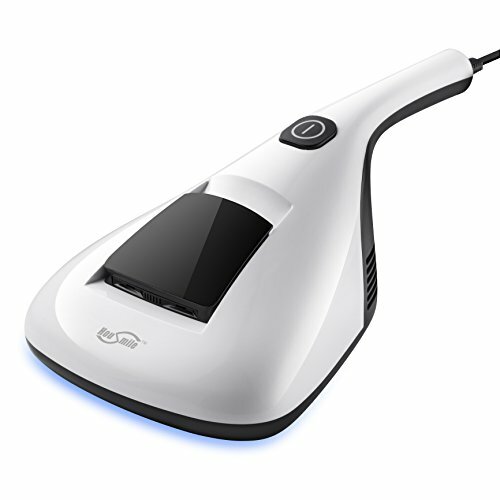 This is a portable UV cleaner that’s built for hand-held use on mattresses, sofas, pillows, curtains, rugs and carpets. It has a built-in safety feature that turns off the UV feature if three or more rollers leave the cleaning surface. This helps you make sure that your cleaning is effective. Perhaps the most unique feature of this vacuum compared to others is that it also works as an upright vacuum. If you’re also in the market for a stand-up vacuum, this is the model that gives you two for one. Although it’s less expensive than other models, keep in mind that the components may not be as sturdy and easy to use as other models. This vacuum doesn’t seem as easy to use or as sturdy as other models. Weighing in at 10 pounds, it’s the heaviest and a bit cumbersome. Of course, if you’re going to also use it as an upright vacuum, it’s the only option that allows for both. However, if you’re looking for a handheld UV vacuum for use on blankets and linens, it may be a good idea to buy a product built specifically for that purpose. When you’re looking for a UV vacuum, performance quality should be a top consideration. That includes not only the power and capabilities in the device, but also its ease of use. To that end, if you’re looking for a handheld model, go with the Housmile. This model appears easy to hold and use. It’s size and light weight make it easy to move from place to place. Whether you’re taking it from room to room or from city to city, it’s portable and easy to set up and use on the first try. When you’re looking for a robot vacuum for hands-off cleaning, select the Robins model. This model has sturdy components for long-lasting use. It’s not likely to clog. With only a little bit of programming, you can leave it to clean on the schedule that you choose. The Robins vacuum has the best combination of ease of use and durability. If you’re looking to save a buck and purchase an upright vacuum at the same time, the Sonya vacuum gives you this option. However, you may have to sacrifice durability and ease of use in order to gain this dual feature. In the end, it’s best to consider what you hope to accomplish with your vacuum and buy the model that’s best created for that purpose. There are others on the market, but these options meet a variety of UV-cleaning needs and come with dependable, custom features. For peace of mind whether it’s in your bedding or your floors, the right UV cleaner can give you the confidence to know that your space is safe and clean.